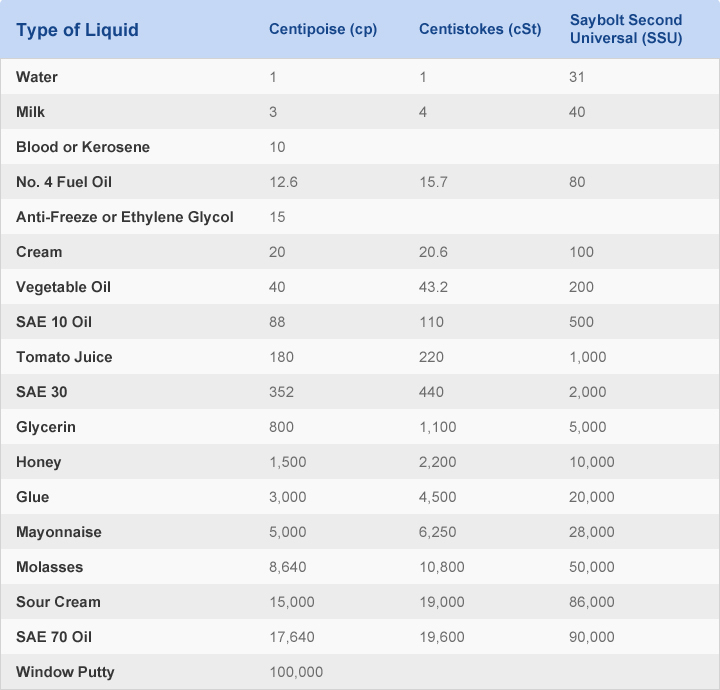 Our viscosity chart can help you get an idea of how thick your product is. While these are only average estimates, it is useful to have an idea of the viscosity of your product when working with one of our filling system experts. It can also be a great resource when trying to find an appropriate filling pump to be used with your system. If you do not see your product listed, or are unsure of its viscosity, one of our filling system experts would be more than glad to provide assistance. Feel free to touch base with one of our filling solutions experts with your application details. They work with you to create the best system for your needs.